We feel so honored to have been a part of this wonderful day with the lovely Becca and Tanner. When we arrived to the wedding we were so excited to see the decorations and loved the nautical theme their wedding had. It reminded us of their amazing engagement session and now looking back we are so glad we could get some water in the photos! Our favorite was the willow tree and the little pond. 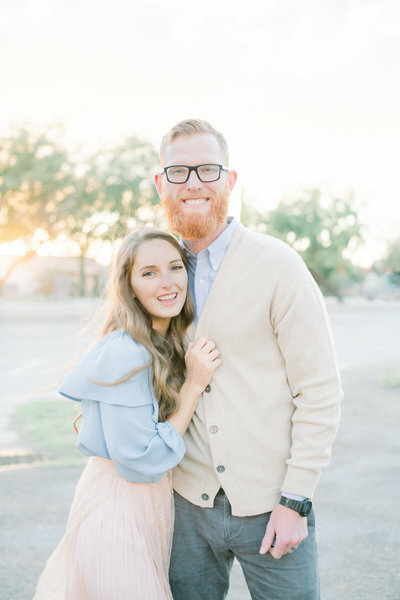 They had their wedding not far in Safford, Arizona, at the Grace Tabernacle Church. Becca and Tanner are young but we were always surprised how mature they were and how eager they are to start this new chapter of life together. They have been super busy with the wedding and graduating high school in the same week! They are troupers! Their amazing families put in so much work and were so happy to help. We were all in awe of Becca’s wedding dress as she came down the aisle. The amazing Torey at Cakes With TLC did a wonderful job and the delicious El Charro Restaurant catered! So much good food! Becca is so lucky to have Tanner. During the best man toast by his brother, he talked about how caring Tanner is and loves him. Tanner would drive hundreds of miles to go support his bother and go surfing on Sunday and drive back for school on Monday. Tanner will be just as loving if not more with Becca. We can’t wait for you two to see the rest of the photos but for now, here are our favorites. We wish you two the best in marriage and life Becca and Tanner!